We are regarded and pleased to welcome all of you to “18th World Congress on Clinical Nursing & Practice” in Baltimore, USA. We hope that Baltimore will surely guarantee a successful congress amidst the beautiful environment. We are all set to bring in a new whirl on conferences by presenting the latest scientific improvements in your field. Listen to motivating keynotes from thought leaders, or rub elbows with pioneers across the globe. Baltimore is all set for an amazing event as we proudly present the "18th World Congress on Clinical Nursing & Practice during September 9-10, 2019 in Baltimore, USA. We cordially welcome Researchers, Academicians, Physicians, Clinical Officers, Students and Business professionals Healthcare Professionals from around the world to participate in the upcoming Clinical Nursing 2019 Conference. Conference Series LLC Ltd is pleased to welcome you to attend 18th World Congress on Clinical Nursing and Practice during September 9-10, 2019, Baltimore, USA with a theme “Recent Innovations, Practices & Developments in Clinical Nursing & Practice” and make it a huge success. Open Access Initiative is committed to making real and reliable contributions to the scientific community. This conference brings individuals together who have an interest in Clinical Nursing Practice and Education, development, and research. Clinical Nursing 2019 provides a valuable share and receive knowledge and to know about new technologies and skills in Clinical Nursing. You can learn new sections of Clinical Nursing Practice, align your insight, work and gain thoughts from specialists of Healthcare and Medication. In help of enhancing the Calling of Nursing, this Clinical Nursing gathering has been arranged and actualized by the Centre for Education Development (CED). CED is together licensed by the Accreditation Council for Continuing Medical Education (ACCME), the Accreditation Council for Pharmacy Education (ACPE), and the American Nurses Credentialing Centre (ANCC), to provide continuing education for the healthcare team. Clinical Nursing Conference will focus on the profession of nursing directed through oral and poster presentations, educational workshop sessions, and influential plenary presentations. Attendees will be provided insights to the Profession of Nursing. 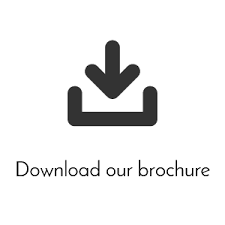 Clinical Nursing 2019 is a platform for clinical trial associates, nursing practitioners, healthcare professionals, nursing students as well as faculty, deans, researchers, and leaders to collaborate on topics affecting clinical nursing and healthcare. Clinical Nursing 2019 aims to discover advances in health practice, management, and education in relation to health disparities as well as a breadth of other topics. The current healthcare expenditure of the USA in 2016 was equal to149, 500 million euros, that is an 8.9% incidence on GDP, 75% of which was financed by the public sector and the rest by the private sector. In 2014, expenditure as a share of GDP was nearly11% in France and Germany, just below 10% in the United Kingdom and 9% in USA. According to the reports, healthcare spending in USA accounted for 9.2% of GDP in 2012 (about $3,200 per capita) of which about 77% is public, slightly lower than the average of 9.3% in OECD countries. In the year 2017 World Health Organization ranked USA as the 3rd best in the world in highest life expectancy. 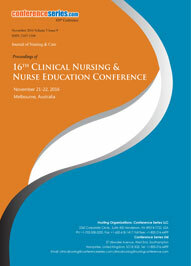 Clinical Nursing 2019 brings together individuals who have an interest in different fields of nursing like psychiatric, cancer, cardiac, critical care, adult & women health, legal, pediatric and emergency nursing, midwifery, public health, healthcare and medicine from practice, research, administration, policy, leadership in nursing and education. It is a platform to explore issues of mutual concern as well as an exchange of knowledge, share evidence, ideas, and generate solutions. 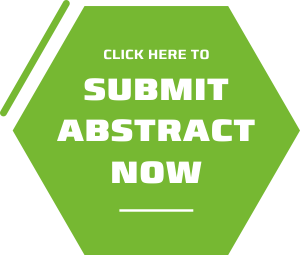 Clinical Nursing 2019 provides a global platform for exchanging ideas and make you updated about the latest innovations in clinical nursing and clinical practice. Opportunity to attend the various sessions delivered by Eminent Speakers around the world. Clinical Nursing is propelled field, which means you could also become employed in education and leadership roles. The work covers some regular areas including emergency care, pediatrics and geriatrics. There is a high market for clinical nurse specialists particularly, as they are so experienced in sophisticated technologies. 51st World Congress on Men in Nursing July 29-30, 2019, Dublin, Ireland; 50th International Congress on Nursing Care June 24-25, 2019, Moscow, Russia; 31st World Congress on Advanced Nursing Practice August 16-18, 2018 Crown Plaza Madrid Airport, Madrid, Spain; 29th International Conference on Pediatric Nursing & Healthcare August 16-17, 2018 Madrid, Spain; 25th Global Nursing & Health Care Conference August 21-23, 2018 Paris, France; 18th World Congress on Clinical Nursing and Practice May 13-14, 2019Rome, Italy; 24thWorld Nursing and Healthcare Conference September 13-15, 2018 Park Inn by Radisson, Copenhagen, Denmark; 5th World Congress on Midwifery & Women’s Health October 01-02, 2018 | Frankfurt, Germany; 5th International Conference on Gynecology and Obstetrics October 08-10, 2018 | Hilton Zurich Airport Zurich, Switzerland; Annual Nursing Congress: The Art of Care November 12-14, 2018 Istanbul, Turkey; 27th World Nursing Education Conference November 12-14, 2018 Frankfurt, Germany; 49th International Conference on Advanced Nursing Research October 18-19, 2018 Amsterdam, Netherlands; 48th Global Nursing & Healthcare Conference March 04-06, 2019 Barcelona, Spain; 4th International Conference on Reproductive Health and Medicine April 18-19, 2019 Berlin, Germany; 9th World Congress on Breast Cancer April 25-26,2019 London | UK; 6th International Congress on Emergency and Trauma Nursing April 25-26, 2019 London, UK; 48th Global Nursing & Healthcare Conference March 04-06, 2019 Barcelona, Spain. Knowledge and independent decision making are specialized skills in the field of nursing and careers in nursing take widely divergent paths depends on practice focus varies by setting, by type of client, by different disease, therapeutic approach or level of rehabilitation. Moreover, nurses provide sophisticated and patient satisfaction care. 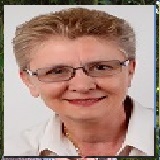 The European healthcare provides a great value to nursing practice and nursing care. The Market for Nursing Practice is more in USA when compared to other countries around the globe. 3.1 million RNs were licensed in the United States in 2008. It is the highest demanded course in USA followed by Norway and then other European countries like Germany, Italy and United Kingdom. 51st World Congress on Men in Nursing July 29-30, 2019, Dublin, Ireland; 50th International Congress on Nursing Care June 24-25, 2019, Moscow, Russia; 31st World Congress on Advanced Nursing Practice August 16-18, 2018 Crown Plaza Madrid Airport, Madrid, Spain; 29th International Conference on Pediatric Nursing & Healthcare August 16-17, 2018 Madrid, Spain; 25th Global Nursing & Health Care Conference August 21-23, 2018 Paris, France; 18th World Congress on Clinical Nursing and Practice May 13-14, 2019Rome, Italy 24thWorld Nursing and Healthcare Conference September 13-15, 2018 Park Inn by Radisson, Copenhagen, Denmark; 5th World Congress on Midwifery & Women’s Health October 01-02, 2018 | Frankfurt, Germany; 5th International Conference on Gynecology and Obstetrics October 08-10, 2018 | Hilton Zurich Airport Zurich, Switzerland; Annual Nursing Congress: The Art of Care November 12-14, 2018 Istanbul, Turkey; 27th World Nursing Education Conference November 12-14, 2018 Frankfurt, Germany; 49th International Conference on Advanced Nursing Research October 18-19, 2018 Amsterdam, Netherlands; 48th Global Nursing & Healthcare Conference March 04-06, 2019 Barcelona, Spain; 4th International Conference on Reproductive Health and Medicine April 18-19, 2019 Berlin, Germany; 9th World Congress on Breast Cancer April 25-26,2019 London | UK; 6th International Congress on Emergency and Trauma Nursing April 25-26, 2019 London, UK; 48th Global Nursing & Healthcare Conference March 04-06, 2019 Barcelona, Spain. Nursing education is educating and training nurses in the most professional way which includes both theory and practical management .The purpose of nursing education is to prepare them for their duties as nursing care professionals. Today’s Nurse Education integrates a broader awareness of other disciplines allied to medicine, often involving inter-professional education, and the utilization of research when making clinical and managerial decisions. Training professionally offers a more intense and strong practical skills and emphasizes the handmaiden relationship with the physician. 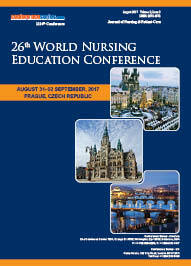 Despite the fact that a fit between environmental pressures and the change of agenda exists, the implementation of the nursing reform varied considerably between the various Italian linguistic regions and nursing education in Europe has vast and most possibilities in acquiring knowledge as well as additional skills. The major wave and market for CNS has been started in USA IN THE 1960’s beginning. The CNS statistics by NSSN in 2008 states that the ration of CNSs decreased from 57.0 TO 42.4 i.e only 2,222 self‐identified CNSs are there as per 2008 survery. The whole agenda of evidence-based clinical practice is to make patient care from experience to informed clinical practice. This helps in giving the treatment systematically as well as reducing the dosage of medicine and products on patients. Evidence-based clinical practice is done by assessing the outcome and applying it in the clinical care. It’s more efficient and happening in the field of research too. 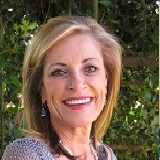 Satisfied patient results are seen in evidence-based clinical practice. The equality between external & objective clinical data and applied subjective clinical judgment is one of the important & primary clinical values for an evidence-based practice. Evidence Based Practice (EBP) has been recognized as an important factor in meeting the aim in healthcare, which improves the patient experience of care, the health of populations, the work life for clinicians and reduces the per capita cost of healthcare sector. Two $2,500 grants for EBP projects that address the clinical practice nursing, one $10,000 grant for a nursing research project that advances nursing practice and Three $2,500 grants for Evidence-Based Practice (EBP) projects was implemented. EBP multiple models are available and have been used in a variety of clinical settings. 90% of all nursing practice will be based on EBP research findings by 2020 and 55% are based on research findings. The non-clinical or general influence includes patient related issues such as ones socio-economic status, patient’s expectation from healthcare, and physician related factors and interaction with their professional community where the treatment information’s’ are shared. The non-clinical practice is all about clinical ethics, public health education, health policy and qualitative-quantitative research. The features of clinical practice such as private versus public practice as well as local management policies are discussed under this session of Nursing Practice. Clinical Nursing and Clinical Practice is a vast field with many stringent and complex techniques as it covers every aspects of nursing education. It is natural that doubts arose among certain techniques and care issues. Patient care and effective results are expected with good care in clinical nursing. So certain topics such as central line maintenance, malnutrition in patients and cardiac monitoring can be discussed in the question and answer of clinical practice. It is necessary that no patient or practitioner should be left with incomplete knowledge of treatment took or given. The different type of nurses of each category brings specialized knowledge and skills to health care teams and workplaces. Although there are many types of nurses, specialization in the particular field makes a nurse or nurse practitioner different from others. Each nurse practitioner deals with his/her area of interest in nursing which can be –Pediatric nursing, Forensic nursing, Perinatal nursing, Postoperative care, Psychiatric and mental health nursing, Veterinary nursing, Rehabilitation nursing and many more. 29th International Conference on Pediatric Nursing & Healthcare August 16-17, 2018 Madrid, Spain; 25th Global Nursing & Health Care Conference August 21-23, 2018 Paris, France; 27th World Nursing Education Conference November 12-14, 2018 Frankfurt, Germany; 49th International Conference on Advanced Nursing Research October 18-19, 2018 Amsterdam, Netherlands; 48th Global Nursing & Healthcare Conference March 04-06, 2019 Barcelona, Spain; 4th International Conference on Reproductive Health and Medicine April 18-19, 2019 Berlin, Germany; 9th World Congress on Breast Cancer April 25-26,2019 London | UK; 6th International Congress on Emergency and Trauma Nursing April 25-26, 2019 London, UK; 48th Global Nursing & Healthcare Conference March 04-06, 2019 Barcelona, Spain. 51st World Congress on Men in Nursing July 29-30, 2019, Dublin, Ireland; 50th International Congress on Nursing Care June 24-25, 2019, Moscow, Russia; 18th World Congress on Clinical Nursing and Practice May 13-14, 2019 Rome, Italy 24thWorld Nursing and Healthcare Conference September 13-15, 2018 Park Inn by Radisson, Copenhagen, Denmark; 5th World Congress on Midwifery & Women’s Health October 01-02, 2018 | Frankfurt, Germany; 5th International Conference on Gynecology and Obstetrics October 08-10, 2018 | Hilton Zurich Airport Zurich, Switzerland; Annual Nursing Congress: The Art of Care November 12-14, 2018 Istanbul, Turkey; 31st World Congress on Advanced Nursing Practice August 16-18, 2018 Crown Plaza Madrid Airport, Madrid, Spain. The evaluation of student learning as well as judgment using evidence-base practice outcomes to make sure of safe and effective care can coin as Clinical Evaluation. The clinical area has been the focus of much effort and energy as educators struggle with issues arising from the subjective nature of clinical evaluation and the role of clinical instructors as both teachers and evaluators. The teacher-evaluator and formative-summative distinction is viewed as a false dichotomy which enforces power differentials and impoverishes student learning. A case is built for clinical evaluation as a form of inquiry, the purpose being the discovery and verification of the process and product of the teaching and learning of nursing practice. Clinical Nursing 2019 aims to discover advances in health practice, management and education in relation to health disparities as well as a breadth of other topics. The current healthcare expenditure of USA in 2016 was equal to149, 500 million euros, that is an 8.9% incidence on GDP, 75% of which was financed by the public sector and the rest by the private sector. In 2014, expenditure as a share of GDP was nearly11% in France and Germany, just below 10% in the USA and 9% in Maryland and Baltimore. According to the reports healthcare spending in USA accounted for 9.2% of GDP in 2012 (about $3,200 per capita) of which about 77% is public, slightly lower than the average of 9.3% in OECD countries. In the year 2017 World Health Organization ranked USA as the 3rd best in the world in highest life expectancy. 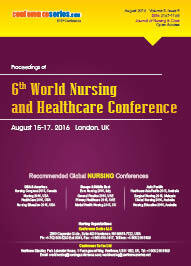 Leading world Doctors, Registered Nurses, Health Care professionals, Professors, Research fellows, leading universities, Students, Nurses, Directors of association, Societies, Companies, Medical Research Institutions and Hospitals sharing their novel researches in the arena of Nursing, Healthcare & Medicine. Target Audience: Doctors, Registered Nurses, Directors/CEO, Department Head, Vice Presidents/ Directors, Surgeons, Research fellows, Nurses, Professors, Students and Physicians from Academia in the study of Nursing Field. 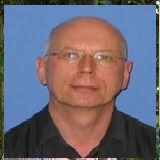 Clinical Nursing 2019 brings together individuals who have an interest in different fields of nursing like psychiatric, cancer, cardiac, critical care, adult & women health, legal, pediatric and emergency nursing, midwifery, public health, healthcare and medicine from practice, research, administration, policy, leadership in nursing and education. It is a platform to explore issues of mutual concern as well as exchange of knowledge, share evidence, ideas, and generate solutions. 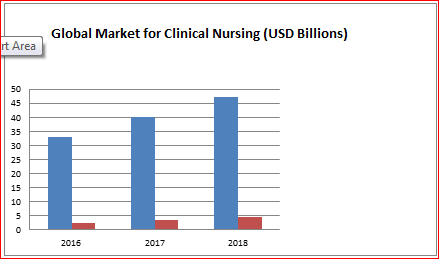 The global market for nursing health therapeutics will grow from nearly $33.0 billion in 2015 to nearly $40.6 billion by 2020, with a compound annual growth rate (CAGR) of 4.2% for the period of 2015-2020. The infertility treatment devices market is expected to reach USD 3,698.92 Million by 2020 from USD 1,822.32 Million in 2015, at a CAGR of 15.21%. Extending heartfelt gratitude to each and all, to our honorable speakers, Conference attendees and Sponsors. Clinical Nursing 2018 Conference was our best ever! 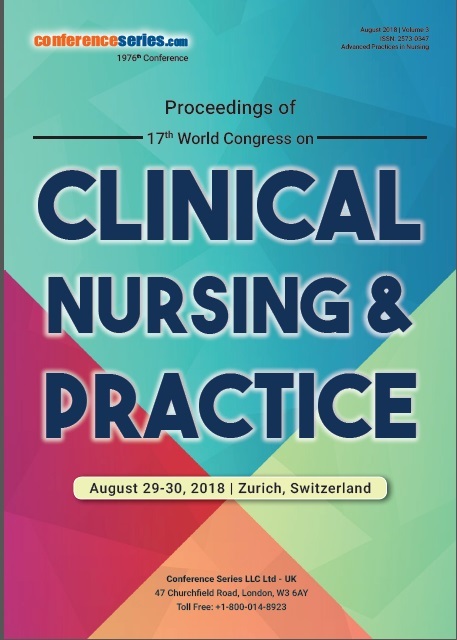 17th World Congress on Clinical Nursing & Practice, hosted by the Conference Series LLC was held during August 29-30, 2018, Hotel Hilton Zurich Airport, Zurich, Switzerland, with the theme “Explore Opportunities, Best Practices & Recent Developments in Nursing & Practice”. 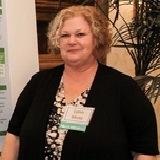 Magnanimous response and active participation were received from the Editorial Board Members of conference series as well as from the Scientists, Registered Nurses, Professors, Clinicians, Nursing Officers, Healthcare Industries, Researchers and Students from the field of Nursing & Healthcare, who made this event successful. With the grand success of Clinical Nursing-2018, Conference Series LLC is proud to announce the "18th World Congress on Clinical Nursing & Practice” to be held during May 13-14,2019 Rome, Italy.